Ostara is a celebration of the Spring Equinox (March 21) celebrated by many practicing Wiccans, Pagans, and Witches. It marks the day when night and day are equal and balanced. The Sun God’s strength increases and the Goddess celebrates herfertility. Together they bring us Spring. Ostara is a time for the celebration of fertility and balance, But fertility can be many things. It can be a new beginning hope, Or a fresh start. A goodbye to the harsh cold Winter, And a hello to the change Spring brings us. Eggs are commonly used for symbolism on this day as they have always been a symbol for fertility and life. 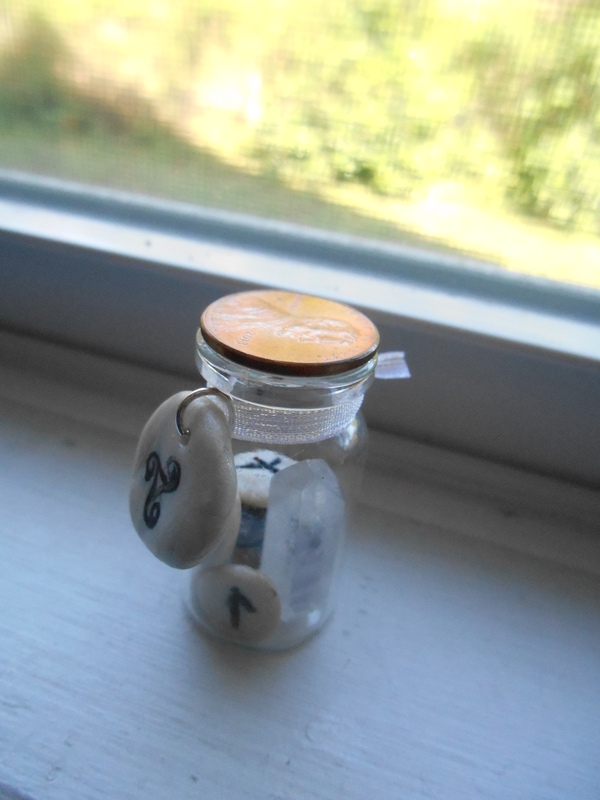 Since I still hold most of my Christian values, I will mostly be celebrating the Equinox and new beginnings/fresh start. 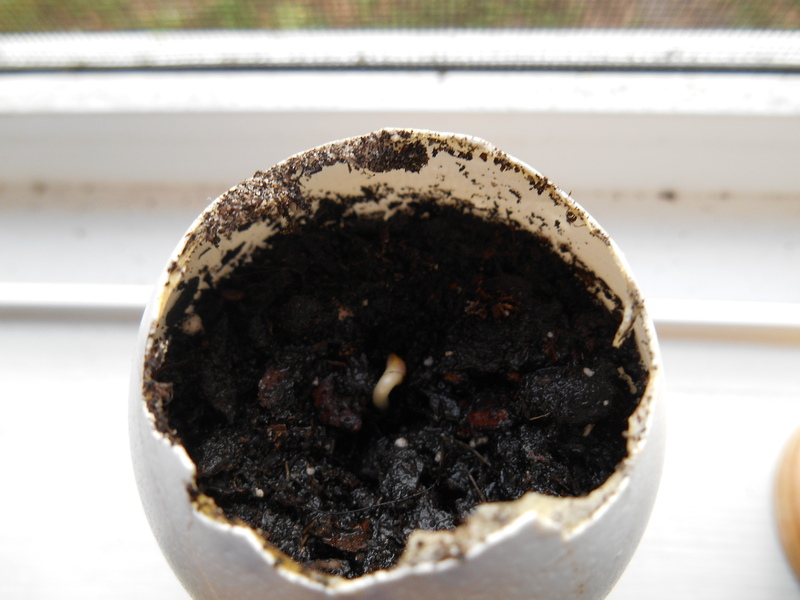 I also celebrated fertility by planting a seed in a hollowed out eggshell. 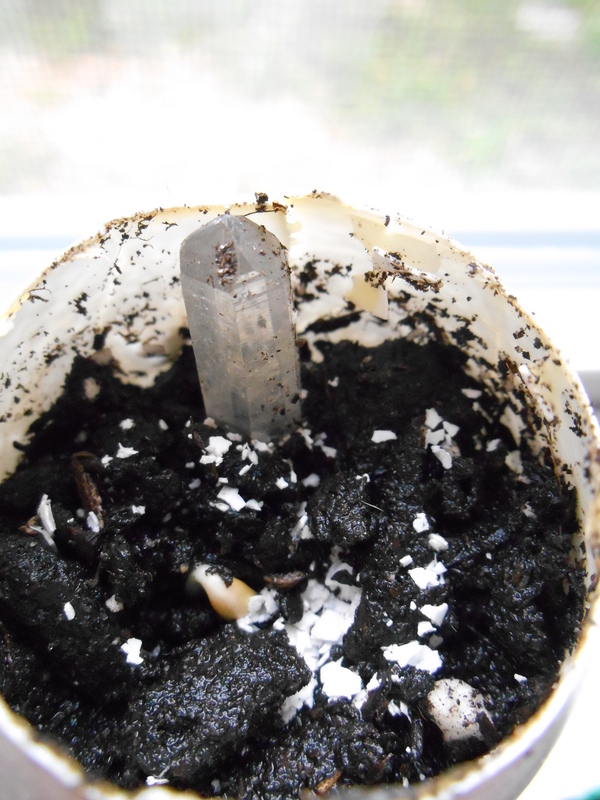 The eggshell provides calcium and other nutrients for the seed and helps it to grow. I chose to plant sunflower seeds. Here they are on the first day (March 7th) . 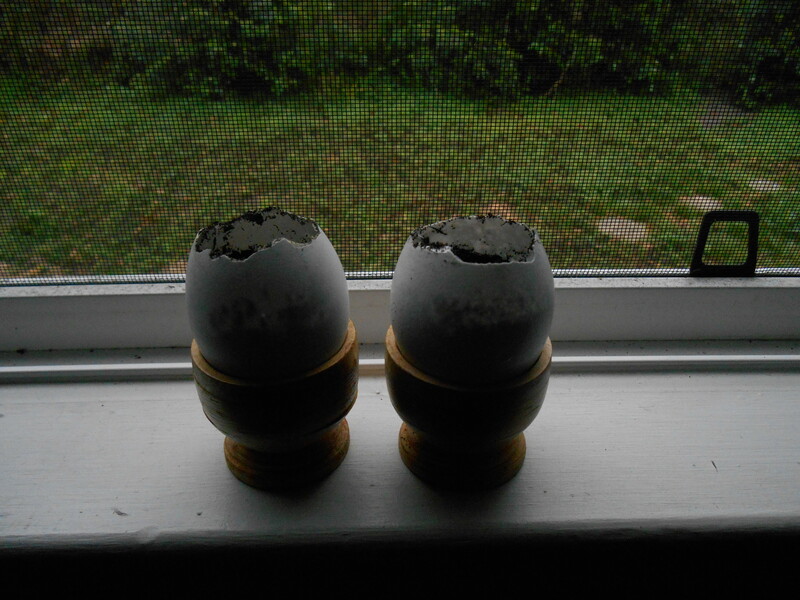 I named them: On the left is Egg Sinatra and Eggthoven. 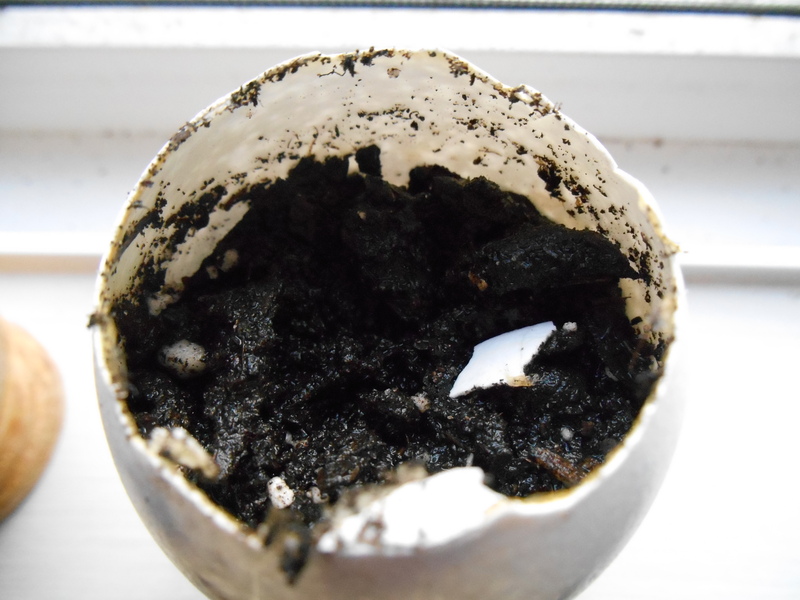 When I was looking up how to do these eggshell sprouts, half of the articles told me to put a hole in the bottom for drainage, the others told me not to. Eggthoven got a hole and Egg Sinatra did not. Egg Sinatra wasn’t growing so I did emergency surgery and poked a hole in the bottom of his egg with a nail. 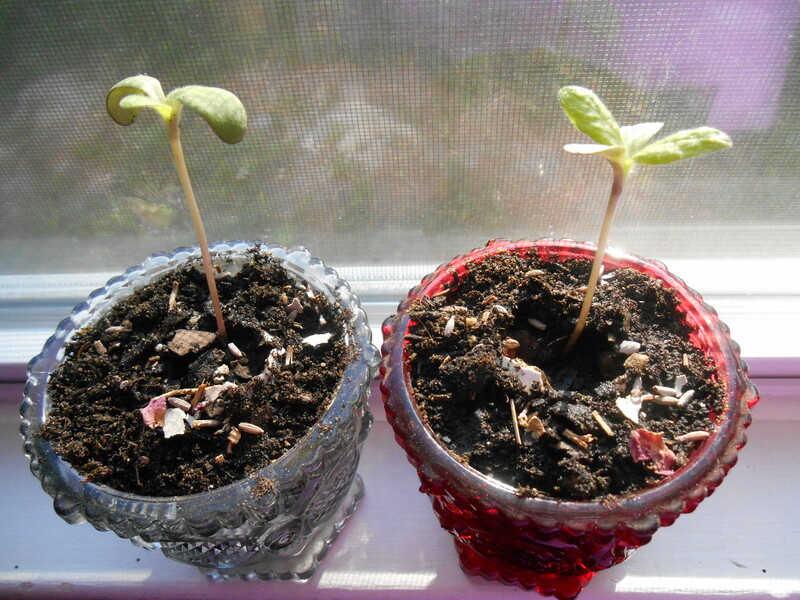 Look how much they grew in 9 days! I had to re-pot them a few days again and I going to have to do it again soon. 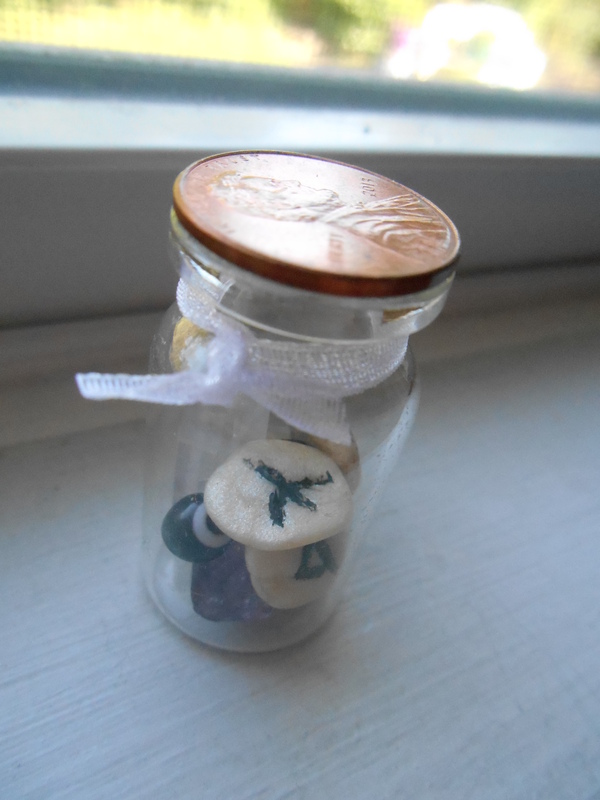 I also wanted to put together a “New Beginnings” bottle as a kind of reminder of my goals and things I want to attract. and a bottle to put them all in. This Friday I will be going to an Ostara Gathering with a local group. The metaphysical shop at the Flea Market is holding the gathering. It will finally be nice to meet other pagans. I don’t really know any in person. I can’t wait! Previous Surprise Visit Next I’m on Bloglovin now.